Even by modern standards where the point of entry for fame has been significantly lowered, it is still a super impressive feat to have multiple charting singles and multiple successful tours; that is just a snippet of the accomplishments Billie Eilish achieved before being old enough to vote yet. Billie Eilish is currently living the plot of a movie, collaborating with some of America’s biggest musicians and releasing music so widely received, it has over 132 million streams on one of the world’s biggest music streaming platforms, Spotify. She is also currently signed onto one of the world’s top music labels, Interscope. Needless to say, from a very young age, Billie Eilish is already living the life many spend their whole lives searching for. Her impressive and interesting life thus far is worth a read and you can read all about it by scrolling below. Being a successful and renowned musician at a young age requires a lot of things going right for the individual, including talent and early exposure to the music scene. That was exactly the case with Billie who was born into a family that lived and breathed art. She was born on the 18th of December 2001 in Los Angeles and was raised in Highland Park where she was steeped in the love for creative arts shared by the majority members of her immediate family. 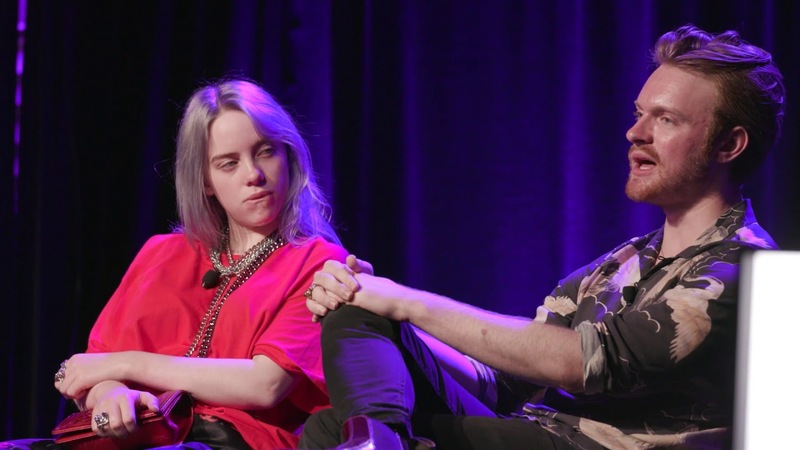 Eilish, whose full name is Billie Eilish Pirate Baird O’Connell was homeschooled alongside her older brother, Finneas O’Connell. Homeschooling allowed further integration of Billie’s music passion as she started writing her own songs at the age of eleven after joining the Los Angeles Children’s Chorus, a choral youth organization at the age of eight. Interestingly, her debut song, which is also her most famous till date, Ocean Eyes, was written by her brother, Finneas who originally intended for the song to be performed by his band, The Slightlys. The song was however given to Billie who recorded the song and had a dance created alongside it by her dance teacher. Upon the release of the song in 2016 on independent music platform, SoundCloud, Billie was ready for the overnight success the song was going to bring her. She released a music video for the song in March 2016 and the accompanying dance video in November 2016. In her debut year, Billie released two songs, Ocean Eyes and Six Feet Under. The latter did not gain any traction on popular music charts but Ocean Eyes was one of the leading singles of the year, earning a platinum certification after charting on several Billboard charts including the US Billboard 100. Since the release of the song, she has signed with Interscope Records and released an Extended Play project which featured different songs, including four remixes of her most popular song yet. The EP was titled Don’t Smile at Me and it earned a gold certification from the RIAA, BPI, and RMNZ. Her other projects include singles like Bellyache and Bored which was a track made for the hit Netflix show, 13 Reasons Why. Billie Eilish has released several singles, with a majority of them receiving platinum and gold certifications from the RIAA. She has also collaborated with other artists such as Vince Staples, Khalid, and TaylaParx. Billie Eilish is also the co-host for the Beats 1 Show, Groupies Have Feelings Too. Billie Eilish is currently estimated to be worth $6 million. Her astronomical rise in wealth is due to her multiple successful singles and a lucrative signing to Interscope. So far, her biggest song yet has over 132 million streams and she was once named Apple Music Up Next artist. Billie Eilish is lucky to be a part of a family that appreciates and encourages her passion and talent. Right from a young age, she has been encouraged by her father and mother, who are both creators. Her father, Patrick O’Connell, who is a musician and songwriter, taught her the guitar and the ukulele while her mother, Maggie Baird can be credited for her songwriting skills although she is a screenwriter and actress. But perhaps her biggest inspiration is her brother, Finneas O’Connell whose pursuit of a career in music gave her the courage to follow suit. Finneas is the lead singer of his band, The Slightlys. Both siblings are known to be frequent collaborators. Billie is currently single and not in a relationship. However, she has had past relationships, with one of them being part of the inspiration for her execution of Ocean Eyes. And while her lifestyle and current single status might draw curiosity about her sexual orientation, Billie Eilish is believed to be straight; more so, she is still very young and has not come out as gay. Billie Eilish may stand out among her peers in terms of achievement, but physically, the American-Scottish-Irish songwriter has a petite body. She stands at 5 feet and 3 inches and has a body weight of 54kg. Other notable body features include her blonde hair and blue eyes.